PSYCHEDELIC FUZZ ROCKERS THE SONIC DAWN UNVEIL ALBUM DETAILS! ‘Eclipse’ Coming February 2019 On Heavy Psych Sounds Records! Eclipse, the band’s third full-length, is the product of a full year’s labor, with 13 blistering tracks carefully selected among over more than 40 candidates. Inspired by personal tragedies and the current meltdown of the world as we know it, the songs deal with a feeling of despair that many will recognize, but also seem to say that we can heal and come out stronger, if we dare take the leap. The result is a cinematic journey in sonic technicolor with catchy melodies that cast a mysterious shadow. THE SONIC DAWN was formed in Copenhagen in late 2013, by childhood friends Emil Bureau, Jonas Waaben and Niels ‘Bird’ Fuglede. They were soon picked up by the local underground label Levitation Records, who released their debut 7-inch, Down the Line (2014). During this period they toured Denmark extensively and made their first international appearances. On October 31st 2015 they made their album debut with Perception on Nasoni Records. It fuses a range of musical styles into a psychedelic sound, with the intention of carrying the listener away to the unknown. The album featured Erik ‘Errka’ Petersson on organ/keys and extremely colorful cover artwork by Robin Gnista, both of whom THE SONIC DAWN have collaborated with on subsequent albums. The following album tour took the band to Germany, France, Switzerland, Italy, Austria and Denmark. In April 2017, the sophomore album Into the Long Night was released worldwide on Heavy Psych Sounds Records. Written by day and recorded at night during a month of complete isolation in a country house by The North Sea, it is as light and gracious as it is dark and mysterious. Compared to the debut, Into the Long Night has been both more sensitive as well as critical in the world-view it presents. The album track L’Espion charted on Denmark’s biggest radio station, peaking as no. #1 for two weeks on P3’s Barometerlisten. The record was well received in the music press and the following album tour was the band’s most extensive so far in Europe. Since returning home from tour THE SONIC DAWN have worked intensely on their third full-length Eclipse, to be released with Heavy Psych Sounds Records on February 1st 2019. Both the songwriting and the production was the most comprehensive in the band’s history, fueled by certain tragedies in and around THE SONIC DAWN. 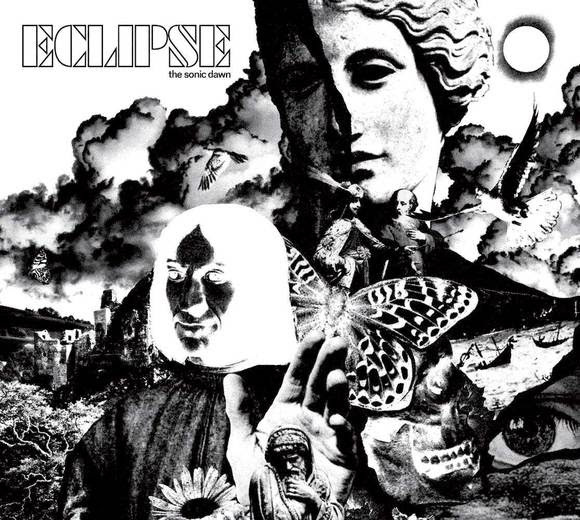 Eclipse is arguably the band’s strongest and most personal album to date, equally catchy and psychedelic. In support of their upcoming album, THE SONIC DAWN will be heavily touring again soon, catch them live on the following dates with many more to come! Coming February 2019EclipseFuzzOn Heavy Psych Sounds Records!PSYCHEDELICRockersTHE SONIC DAWNUNVEIL ALBUM DETAILS!